This is something I’ve been giving a little more thought to in the last couple of days. Last week was kind of insane. I had multiple days where I literally started work at about 8:30 or 9 in the morning (sometimes earlier), and worked all the way up to 10:30 or 11 at night (sometimes later). I love the productivity benefits of that, but after a while, not having any personal time kind of started to gnaw at me. That’s when I started reaching out to friends to see if I could get some help with my projects. I did this because I had expectations that this week would be just as crazy, and although I do have a lot of assignments to complete and deadlines to meet, so far it has felt a lot more relaxed. I have observed a bit of a cycle in my work life in that one week will be outright chaos, and the next will be more manageable. 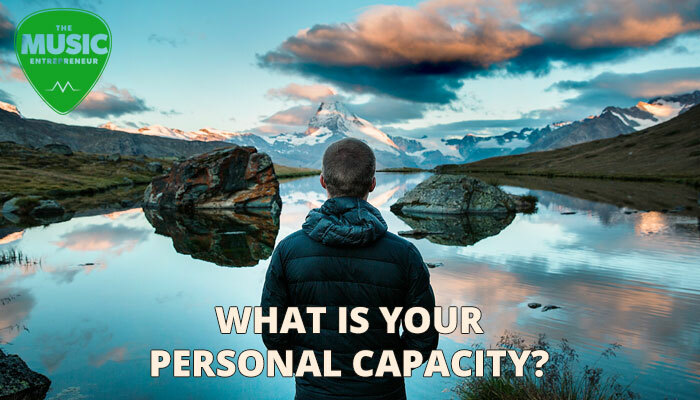 This is what has caused me to think more about personal capacity. After all, it isn’t just about how much work you can get done is it? If personal growth were just a matter of getting things done, I’m sure we could all pull crazy hours and indiscriminately check things off of our to-do lists. But, if we’re not doing that sustainably, we’ll burn ourselves out. That’s no good for longevity and long-term productivity. So, yes, while we can all handle a lot of different tasks and get a lot of different things done, that isn’t necessarily a good way to measure our productivity or personal growth. If you’re only focused on work, other areas of your life will begin to suffer, be it health, relationships, or otherwise. It may be necessary to make sacrifices for a window of time to see a project to completion, or to see a specific area of your life bloom. At times, we may be stretched, and that’s not necessarily a bad thing either. But if we really want to be honest about our personal capacity, we can’t just look at how much work we can get done. That’s efficiency without effectiveness. If we desire effectiveness and sustainability, it requires a different approach.